Important Myths and facts about Hair Restoration! In our society, everyone is ready to become the doctor. Are you suffering from diabetes? ‘Oh, it must be hereditary!’ Do you have a severe migraine? ‘You must’ve used that mobile for too long!’. How it is that we’ve faced similar situations, a situation wherein everyone diagnoses your problems, tells you the cause, provides ready solutions and gives a lengthy list of precautions you must take! All this without even pursuing biology in their school days, absolutely amazing, isn’t it? When it comes to hair fall or hair restoration problems, the myths increase drastically. Today, we will debunk some of these common myths, just read along to know some exciting facts and myths about hair restoration! Listen to this carefully, your hair is essentially a dead tissue. Science is yet to revive dead elements so why do you think it is any different for hair? Therefore, rubbing a vitamin potion on your hair or taking ‘natural’ supplements will not affect hair growth or even hair fall in any way at all! Are you experiencing baldness? It t be from your mother’s side! A highly common myth is that baldness is inherited only from your mother’s side of the family. Though it is a usual fact that one’s bodily features are determined by both the parents, yet when it comes to baldness all are ever ready to put the blame on the mother! Your baldness is a resultant of a mixture of your parent’s hair genes, though it is a fact that your mother’s side does has a considerable role to play but your father’s side is equally responsible. Some people have a passion for making a mountain of a molehill! The slightest stress is assumed to be the reason for your hair fall problems. Fact is that the only severe traumatic stress (we are talking about extremely major stress here) causes a thinning of hair, a condition known as telogen effluvium. This too is of a temporary nature and once the stress is reduced, hair growth returns to the normal state. You might’ve heard some people say that pulling out one’s grey hair triggers the growth of many more. As a result, most people leave a grey hair here and there. This is entirely a myth for the growth of grey hair occurs due to lack of nutrients in your body or may just be result of the natural aging process. The reason why people have regular haircuts is partly in the hope of the regrowth of newer, stronger hair at a fast pace. However, this is entirely a myth. Ever heard of illusion? Well, it only seems that your hair has gained strength because the split ends were removed making them fuller in appearance! In fact, cutting hair doesn’t make them weaker or stronger, curlier or straighter. A customary belief is that dandruff promotes hair fall but truth is that there is no scientific proof to corroborate that notion. The only reason why you go through hair loss after having dandruff is because the constant scratching leads to a dry scalp thereby causing the hair to break. You won’t have hair fall, but still stay clear of dandruff, it just isn’t ideal you know. Don’t get carried away by myths and always double-check facts. 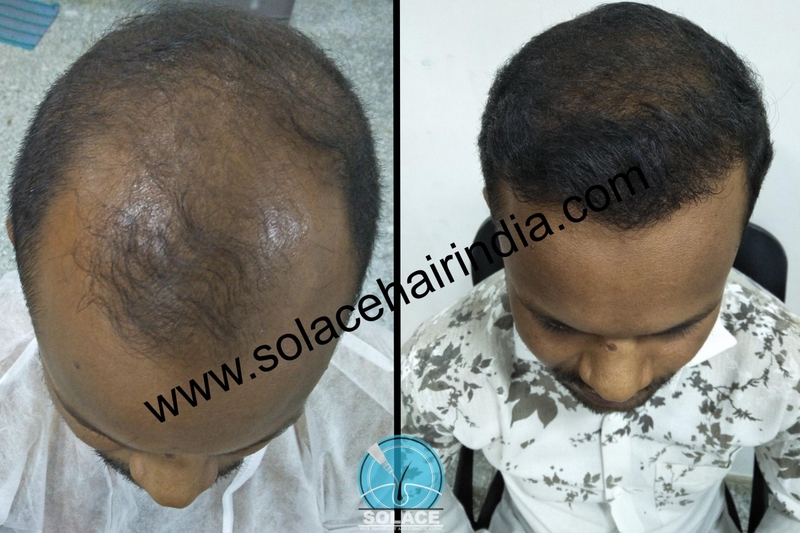 If you wish to foster hair growth, then it’s best that you visit clinics for hair restoration in Pune. We are positive that the advice of our trained consultants and expert doctors can effectively boost your hair growth.